Significance: Powder Works Bridge is the second oldest of twenty-one extant Smith truss covered bridges in the United States. It was built in 1872 for the California Powder Works, the first powder mill on the Pacific Coast, and is one of the last vestiges of the company's extensive manufacturing complex that occupied the site from 1861 to 1914. 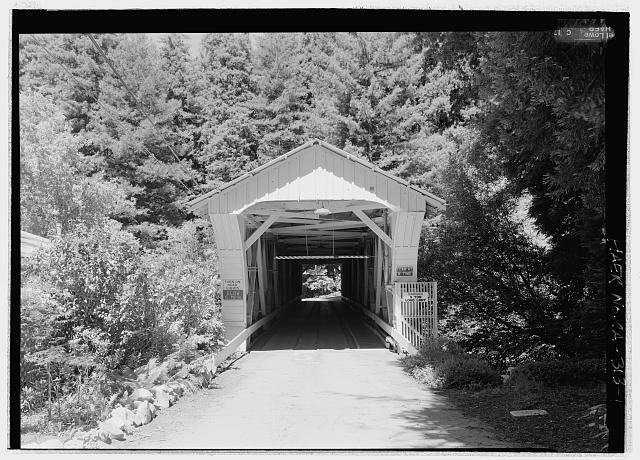 The bridge is an excellent example of the early work of the Pacific Bridge Company, a nationally significant bridge engineering firm.